The secret to finding your financial sweet spot, according to some high flying females interviewed on the subject, is going after your dreams, plying your networks, using every job (even the menial ones) as a stepping stone or teachable opportunity and going for gold. It's not rocket science but common sense, according to this very practical and informative read on lessons from women who have made it. It seems some of the answers are also found in the sisterhood. Women prefer to get their advice from other women, so sharing and tapping into those circles of success, however you want to define that, could be key. Share the wealth women, it comes back to you. I'm keen on Australia these days. I know that's blasphemy here in NZ. 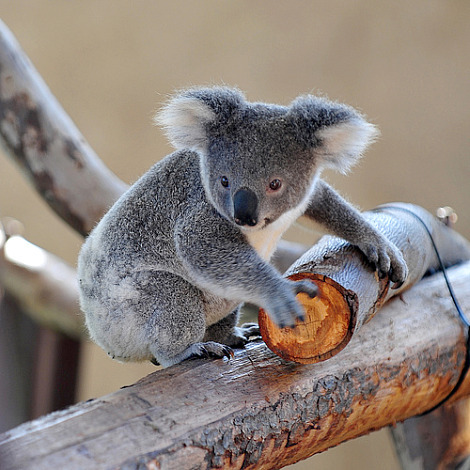 It's not the joeys that I like, or the koalas, although both are super cute. I'm hot about Aussie for another reason, their super scheme worth more than $1.3 trillion in combined assets. Contribution rates, currently 9% (with employers and employees each chipping in) are moving next year to 9.25%. They'll keep moving north until they reach 12% in 2019. (See this link for a schedule and more detail on fees as well - HT CD) The gradual phase in, is meant to help employees and employers adjust and also to work out the negotiation kinks with respect to salary which will invariably affect the whole equation. Shrewd wage negotiators will win the day I reckon. Contingent on government here returning to a surplus, contribution rates for KiwiSaver are expected to be raised to 3% next year. I don't have a crystal ball, but a surplus seems unlikely to me and therefore 2% is where we'll probably stay. Will 2% savings cut it for retirement? Unlikely. I'm not a quitter. Well that's not entirely true, I've quit quite a few relationships but never a job. I'm not sure what that says about me. Here's a blog from wealthinformatics on a life-long planner who threw in the towel on her job without having another to fall back on. I had my eyebrows raised throughout until I read the last line. It was ample justification for me, although I still couldn't quit without a fall back plan. You often hear about how some stress is good for you. I don't much like it but I live with it (and try to manage it) because it's part of life. It's why I love yoga. It's a stress buster that has nothing but good side effects. According to this article published on the Nightly Business Review website, education is another powerful cure, at least with respect to financial stress which is the plague of our times. Research cited in the article holds that 60% of illness is owing to financial stress. That's based on a compilation of 200 studies looking at the correlation between money and healthcare costs. For employers looking to boost productivity as well as reduce sick days, this suggest that workplace financial education programmes are a good investment. An outfit called the Personal Finance Employee Education Foundation calculates savings of $2,000 per employee through money coaching and such. New Zealand Credit Union South, with its Clever Me workplace financial education plan, should be celebrating this news. You don't hear much about the "American Dream" anymore. The prevailing news has more to do with crushed dreams, dashed hopes and a life of workplace servitude and debt. Personal finance blogger marriedwithdebt.com challenges the new normal and argues that you don't have to buy into the chain of financial pain that has become embedded in American culture. Growing up poor has made me more susceptible to financial stress than other people, I suspect. I'm now allergic to debt of any kind. Thanks for validating my actions Amanda, health is wealth! If you can get your employer to fund or subsidise yr fees _ make a business case. An upper-middle base salary is 20/30k higher in Aus. Plus 9 - 16k employer Super contrib. Whats holding us back? I think the "we must-be-in-surplus" thing only comes into play in relation to notions of making KiwiSaver compulsory in 2014/15. The rise to 3% for employer and employee is locked and loaded for next year, as far as I know. Re. #3 - I Quit. I'm a firm believer in everyone having their 'Jerry McGuire' moment at least once in their lives (If you have it 2 or more times then frakly, you are just a quitter). Employers are asking more and more out of their employees in the strive for 'productivity', managers become more weaselee by the day and manage to make David Brent look like the greatest boss in the world ever. Follow you heart - if your values are true then you should have no trouble finding something you will enjoy doing in life.